Some days you are just so glad to be alive and overwhelmed by the random kindness act of strangers that you are totally lost for words. I had one of those days yesterday and it revolves around a Danish man Knud Grothe who owns and runs one of the finest galleries in Denmark. Gallery Knud Grothe was established in the 1970’s and is still going strong exhibiting a rich mixture of contemporary art from around the world as well as Denmark of course. Knud says his favourite genre of art is naive paintings and he has a yearly exhibition at Easter showcasing the naive artists in his gallery. Anyway I or I should say my art came to the attention of Knud who sent me a lovely email which was very complimentary of my art. He also then sent me this fantastic book about naive artists in Denmark called “Naivister i Danmark” which was so incredibly generous. This is a big heavy coffee table book, 164 pages of glossy wonderful Danish artists by Ole Lindboe. 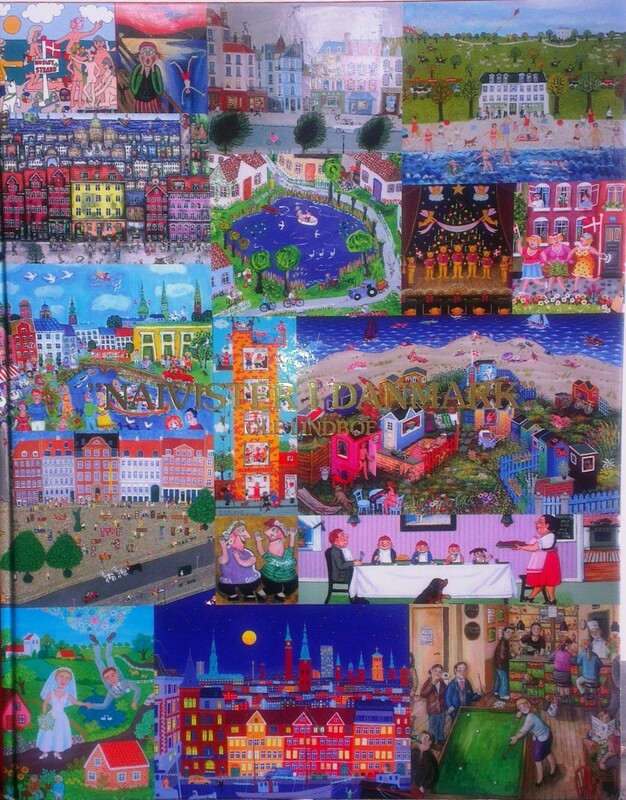 Comprising of some 35 Danish naive artists and also has an introduction of naive art featuring several more from yesteryears. Obviously I am such a fan of naive art which I also collect myself so therefore I have seen and read most of the books on the subject and I must say this book is one of the best I have ever seen. 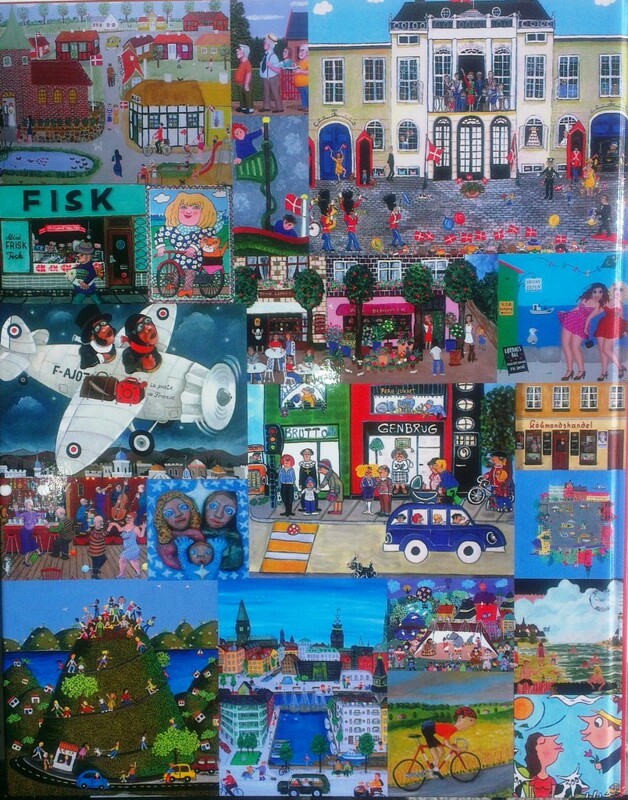 Danish naive art has totally blown me away, normally I would pick out 3 -4 artists in a collection as my favourites but this is an impossibility here as they, everyone of these artists have something so inspiring and fresh to offer, it is a delight to the senses. Now if the story ended here that would be quite something all by itself – but I am afraid there is more… Yesterday there was a knock on the door and a courier with another parcel from Denmark. This time this most incredible generous man Knud Grothe had sent me 3 original paintings for my art collection. I must say I was utterly SPEECHLESS when I unwrapped the parcel, can you imagine, it is not Christmas and not my birthday and this most warmhearted of men sent me a gift, just because! In next week’s art blog I will share these wonderful paintings with you. The 3 artists are Jan Thomas, Inge Selmer and Isis de Sequeira and all 3 artworks are a joy to behold. So what does one say when you receive an amazing gift like this, just because – well I had no words for a very long time. Instead I took the 3 paintings into my studio and have them sitting next to me as I work. I am not ready to part with them even temporarily by hanging them up on the wall. No I just want them by my side so I can “drink” in their colours and joy and pleasure they are giving me every second of the day. Both from the visual aesthetics of the 3 wonderful artworks that the artists have painted but also to think that such a kind, generous and very thoughtful act of kindness is even possible in this day and age. Thank you so very much Knud you must have a very beautiful heart and I am indeed a very very lucky girl to be so blessed and have you as a friend from far away and I do hope to meet you in real life soon. I am really really Grateful, Happy, Overjoyed, Elated, Delighted, Ecstatic, Jubilant, and Thankful and feel extremely spoiled. Why not come and have a look at Marie Jonsson-Harrison’sPAINTINGS FOR SALE, GICLEE PRINTS FOR SALE andSCULPTURES for sale orWALLBASED SCULPTURES. Enjoy an original artwork on your walls or perhaps one on your bed ARTnBED.